The British Broadcasting Corporation has reduced its gender pay gap to to 8.4 percent, which isn’t quite where it should be (zero), but is still a step in the right direction. In total, the difference in men and women’s pay fell by a fifth in the last year, The Guardian reports. The median gap at the company fell from 9.3 percent to 7.6 percent, while the mean pay gap fell from 10.7 percent to 8.4 percent. The broadcasting company aims to close the gap completely by 2020. Following a rather unflattering audit earlier this year, the company revealed that the primary reason behind its pay gap was that there were far more women in lower-earning roles, and not enough holding senior leadership positions. (You don’t say.) 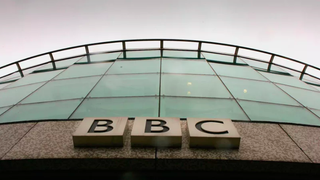 Now, women are in 43.3 percent of BBC’s top jobs, up from 42.1 percent last year. About 25 percent of the improvement was thanks to a restructuring at BBC Studios, which merged with BBC Worldwide, its profit-making sector. This shift means that the staff at BBC Studios, which produces shows like Blue Planet, are no longer under the corporation’s public service arm, thereby reducing the headline figure. BBC’s pay gap has been under discussion for more than a year. In January, head of BBC China Carrie Gracie resigned over the discrepancy, and on Friday, the company finally reached a settlement with her.